Stamps and Stitches: My Memories Suite Giveaway! This is a sponsored giveaway by My Memories Digital Scrapbooking Software. I've recently had the opportunity to try out this amazing program and I love it so far! Even though I am primarily a paper scrapper, I've been moving to some digital because of the ease of storage. Now that I've tried this, I can add ease of creating a page. It was so nice to "audition" different embellishments and papers and to be able to resize my pictures as I went. With both of these pages I did a lot of resizing after I had almost finished the page, so if I had been doing them with paper, I would have had to just settle for the sizes I had or reprint. This was a lot better. Even if I wanted to do a paper page, the My Memories Suite would be great to preplan my layout before committing it to paper and scissors and glue. Here are the two pages I've made so far. The first uses all items that are included in the software. The second uses some digital papers and elements I already owned (all by Crystal Wilkerson). I love that I have so many options. entry 1: go to the My Memories website and under "themes", take a look at what they have to offer, and leave a comment telling me your favorite item. entry 2: join the My Memories mailing list by signing up at their website or their blog. Leave a comment telling me you signed up. entry 3: go to the My Memories facebook page and click on "like". Leave another comment telling me you liked them. entry 4: follow My Memories on Twitter. Then leave another comment telling me you are following them on twitter. and that's it! I will use random.org to choose a name in a week. Please be sure to provide a way for me to get in touch with you if your email isn't in your profile. If you just can't wait and you'd like to buy the software, just go to My Memories and use code STMMMS43379 to get $10 off the price of the My Memories Suite V3 PLUS $10 off in the My Memories store!. What cute layouts! 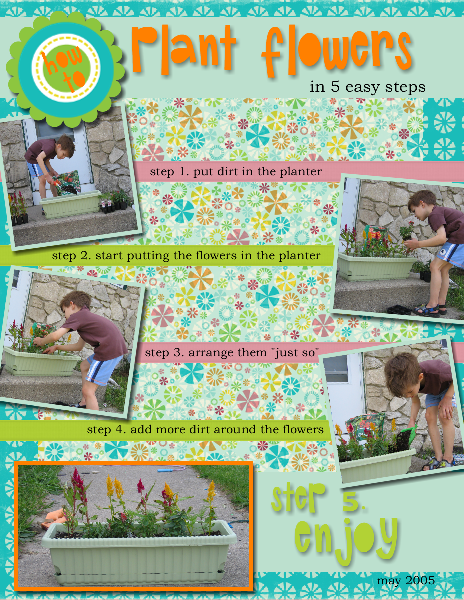 I especially love the "How to plant flowers" layout. So adorable! I love how they look like they have dimension to them just like paper scrapped pages. I've avoided digital for so long because the pages always looked so flat to me. I have "liked" this on facebook and have looked at the themes and love it all, but I especially love the animal pages - soooo cute!!! These layouts are both really lovely, but i think the second one is my favorite. Love the 5 steps with the pictures. Thank you for posting this giveaway and your feed back. I am just about to start trying digital and I don't know which software to use. I will definitely check out My Memories now. I am entering the contest so hopefully I will win it. I have also subscribe to their webpage. Now I just have to go look at their site to see which what I like best. I have the feeling that is going to be very difficult from what I've seen so far. I really like the Family theme. There are so many nice looking themes it was hard to choose just one. I signed up for the My Memories mailing list. Super fantastic, Gale! LOVE those bright and beautiful colors - and of course the layout and photos too! So pretty. Both layouts are beautiful. 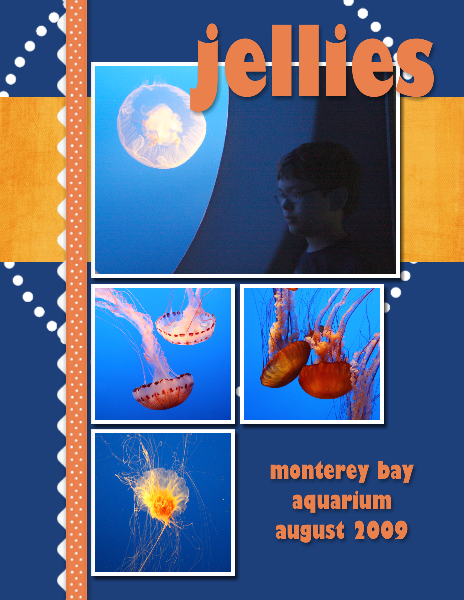 I have only tried digital scrapbooking once, many years ago. It has come such a long way since then.